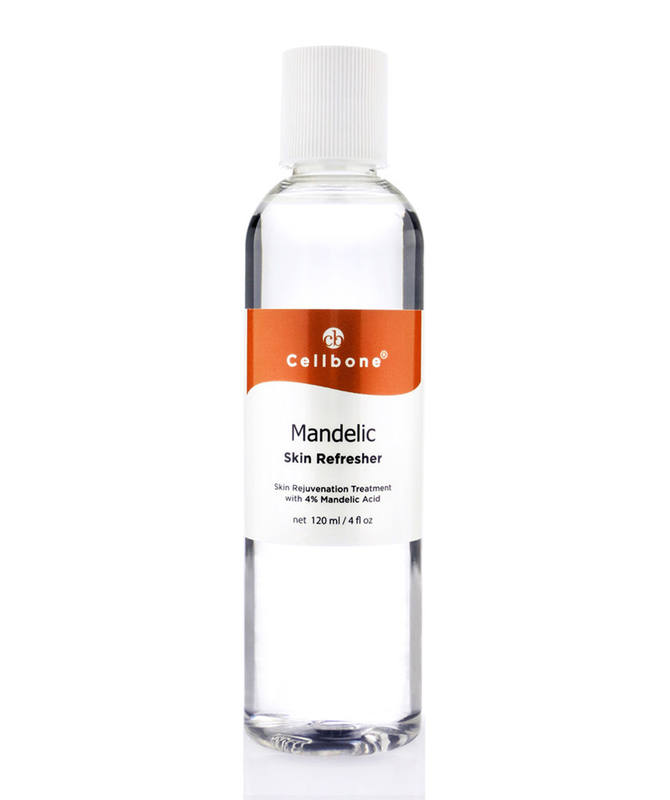 This pure Mandelic Acid (purity of 99%) in the Mandelic Skin Refresher is used to enhance performance in many topical over the counter (OTC). Mandelic Skin Refresher helps exfoliate dead skin cells, remove excess oils and residues left after cleansing to reveal a healthier, livelier complexion. Use after Cleanse – twice daily. Saturate cotton - gently wipe face and neck. Follow with Cellbone Hydra B5+ gel or moisturizer of your choice.